Another day, another good looking BMW 2002 with 4-speed manual gearbox found bidding on eBay for a decent price with no reserve. 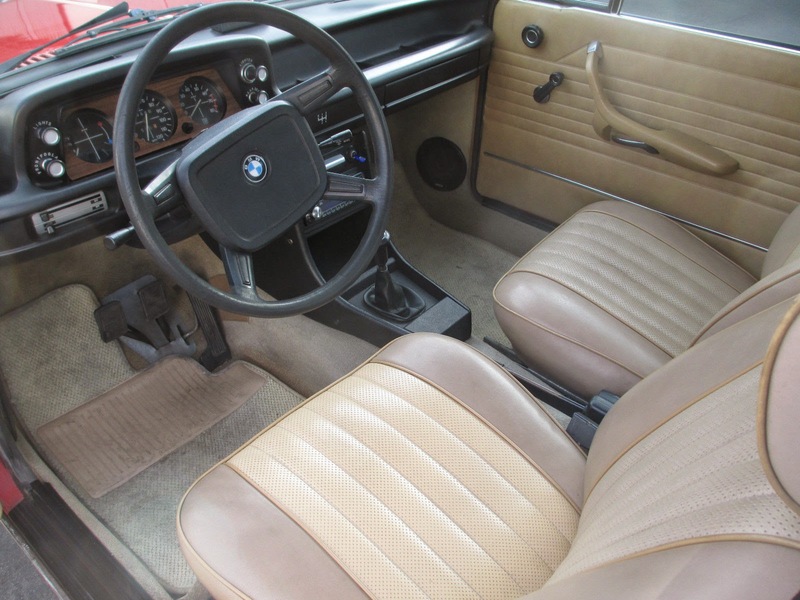 New class platform car prices are on the way up, but what hasn't changed in the past decade is that the BMW 2002 is a great starter classic for the man or woman on a budget. 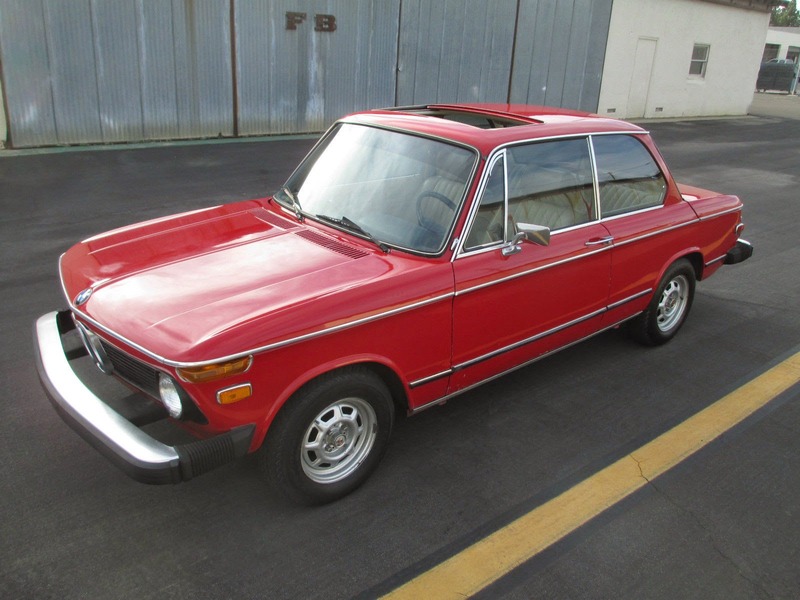 Find this 1975 BMW 2002 here on eBay currently bidding for $6,600 with 2 days to go located in Pacoima, CA. 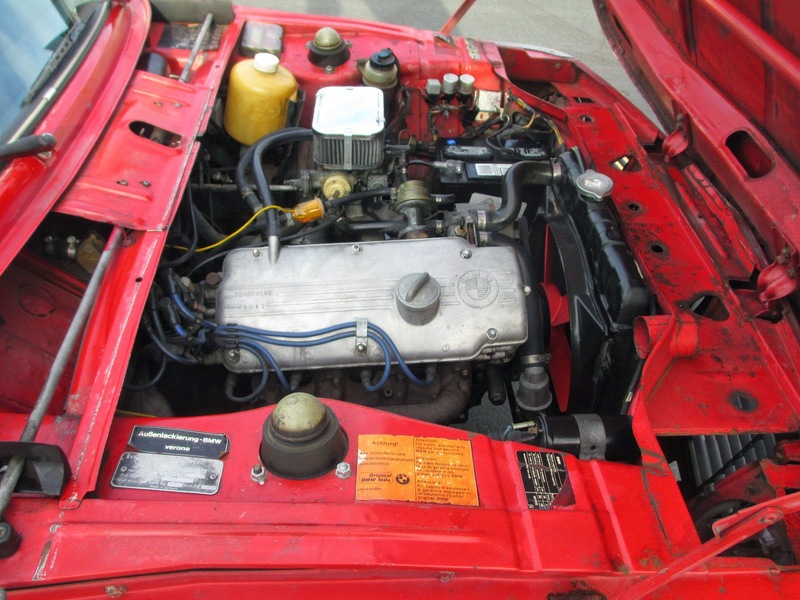 The BMW 2002 has been called the European equivalent of the Ford Mustang or Datsun 510. They are inexpensive, parts are plentiful/cheap and, most importantly, they are easy to understand, diagnose, and fix when things go wrong. The BMW M05 (in the M10 series) 2.0 liter inline 4-cylinder is rated at 100 horsepower and 106 ft-lbs of torque, which may not seem like much, but does the job well given the 2002's low mass. The interior of this 2002 is very nice for the current asking price, which is a good thing because while you can source most of the parts from various places, it will cost a few bones to redo. Save your money and let someone else do the restoration. I look at this and can't believe my Miata is 20 years newer than this. Curious to see where this ends up. I have a 1976 in far better condition than this, with less miles (no rust either), and this is approaching what I would have considered selling mine for if it were on the market. Perhaps I need to re-evaluate my market valuation. Such a great driving experience and no blind spots. Yeah! When did we forget that it is a good idea to be able to see out of a car? A couple of years back, I sadly walked out of the Ford showroom after sitting in a Mustang GT. Even at 6ft+ tall, I could not see any portion of the car beyond the cockpit. The roof sails and high tail made all rearward vision impossible, and even to the front, the hood rose up, and then disappeared. I did not even invite my 5ft-2 significant other to try it. Oh for a return to "light and airy" greenhouses.